Phoslab Environmental Services provides critical information relied upon by major industries including pharmaceuticals, agriculture, environmental, manufacturing, and development. We offer a full line of environmental testing services, performed quickly, affordably, and accurately. The professionals at Phoslab Environmental Services are your partners in the environmental testing process. We can help you develop a testing strategy to meet your situation-specific goals. 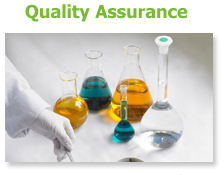 We offer state-of-the-art environmental testing laboratories with unparalleled services and expertise. TCLP, or toxicity characteristic leaching procedure testing, is a way of testing samples that simulates the leaching that occurs in a landfill. It is performed in order to determine whether the sample is harmful to the environment. TCLP testing takes place in several steps, beginning with separating any liquids from solids and then reducing the particle size. After solids are extracted, the sample can be analyzed in accordance with relevant regulations. We perform TCLP analysis for many industries, such as engineering, manufacturing, agriculture, and other businesses that face comprehensive federal, state, and local regulations. We perform BTEX analysis and testing to determine the content of Benzene, Toluene, Ethylbenzene, and Xylene, which are petroleum derivatives that are regulated under both EPA guidelines and the Florida Administrative Code. BTEX compounds occur naturally, but their effects can be toxic. These compounds are often released through emissions, oil spills, or accidents like ruptures to storage tanks or refinery leaks. The risks of contamination are amplified by physical properties like water solubility. Given the health hazards of, and government regulations concerning, BTEX chemicals, it is critical that producers and handlers of many products, including adhesives, paints, plastics, and leather, obtain accurate and reliable BTEX analysis. Total Recoverable Petroleum Hydrocarbons (TRPH) – also more simply referred to as total petroleum hydrocarbons (TPH) – are a family of hydrocarbons originally derived from crude oil that can impact health and the environment. TRPH are compound chemicals formed primarily from hydrocarbons, which are molecules composed of hydrogen and carbon atoms that easily join with other atoms to form organic compounds. They are often released into the environment as commercial or private byproducts or through accidental leakage. As derivatives of crude oil, when TPH contaminate water, it is often visible as a thin surface film or sediment at the bottom of the water. They may even be absorbed by groundwater. Exposure to TRPH can lead to health effects ranging from headaches to organ damage, which has prompted regulation by both federal and state agencies. We perform total recoverable petroleum hydrocarbons testing that allows producers and handlers to remain compliant with safety and environmental regulations. Many (but not all) VOCs, or volatile organic compounds, are easily identified by their scents – they are carbon-based chemicals that evaporate readily at room temperature, emitting what may be an aroma or a stench. On one end of the spectrum, the scent of a flower is a harmless VOC but at the other end, the odor of varnishes or cigarette smoke can cause serious health effects. VOCs are found virtually everywhere, in solid, liquid, and vapor form. Exposure to certain VOCs can cause short-term effects like minor skin irritation or long-term, life-threatening effects like cancer or organ damage. For this reason, it is important to test for dangerous VOC compounds. 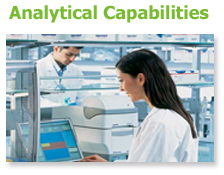 We offer several flexible methods of volatile organic compound testing to meet a variety of needs and budgets. PAH chemicals, or polycyclic aromatic hydrocarbons, are hydrocarbons with strong structures composed of multiple rings that do not break down easily. They are released during incomplete incineration of fossil fuels, with more PAH being released the less efficient the burning. The list of PAH chemicals contains over 100 compounds which all feature high melting points and boiling points, notably low water solubility, and low vapor pressure. Because they do not break down easily, PAH compounds remain in air, water, soil, and commercial products for months or years. Improper management of PAH can lead to steep fines in Florida. We provide polycyclic aromatic hydrocarbons testing that meets EPA standards to help customers remain compliant. As a full service environmental testing lab, we offer a range of related laboratory services to assist our customers in Central Florida and throughout the state. Phoslab Environmental Services has been providing high-quality, affordable testing services in Florida for nearly a half century. With a staff of chemists, biologists, and geologists, we offer highly trained experts who can offer informed opinions on how to conduct the testing that meets your needs. We offer quick turnaround and pricing options to fit your budget, along with top customer service. Call today to speak with a Phoslab professional.